Considering Reed’s history as ST Slammany DA the following is rich! Slabbed has done nothing on the above except highlight the show. Gordon Russell and Lee Zurik get the props for bring the story home. Next up for Reed and his son is the hangin’. 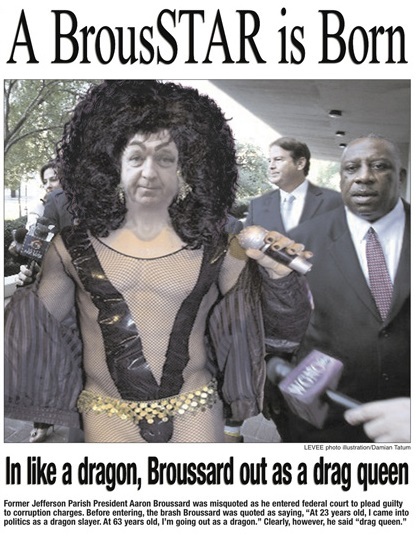 First Bill Hubbard returns to society and now Tim Whitmer is a completely free man per Andrea Shaw last night over at NOLA.com as we remember the Aaron Broussard implosion plus five. A quick pointer for everyone that is new here, the calendar on the top of the left sidebar is an excellent tool for searching the Slabbed New Media archives. Mousing over a particular date on the calendar will pop up of list of that days posts. Click on a particular date and every post on that day will be displayed. As I moused over this day while waxing nostalgic, chills literally ran up my spine. Slabbed has done some great things since but from looking back at 2010/2011 we’ve set a high bar for ourselves as an online community. As a result of those old posts Slabbed New Media has developed sourcing into Jefferson Parish Politics that rivals the very best of the NOLA media community to this day. In any event over the next few months I’m likely to feature some of those old posts circa 2010, especially the ones that have aged well. Today I feature one that has nothing to do with Jefferson Parish at all but is a classic for obvious reasons. Enjoy. Folks, you know you’ve been blogging a long time when you covered someone from arrest through conviction all the way to their subsequent release from jail. Former St. John the Baptist Parish Prez Bill Hubbard is out of jail and is now productively delivering things to the very court house where he once had an office. This is a Slabbed exclusive. 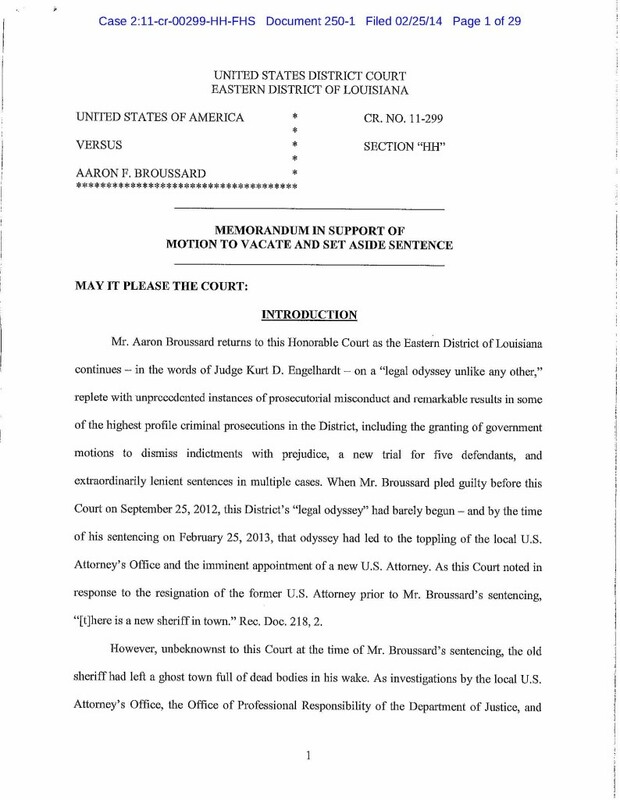 Those catching up should click here for the bell cow post that sent the Goatherders on an international fishing expedition when the now disgraced Aaron Broussard was on the fast track to jail. 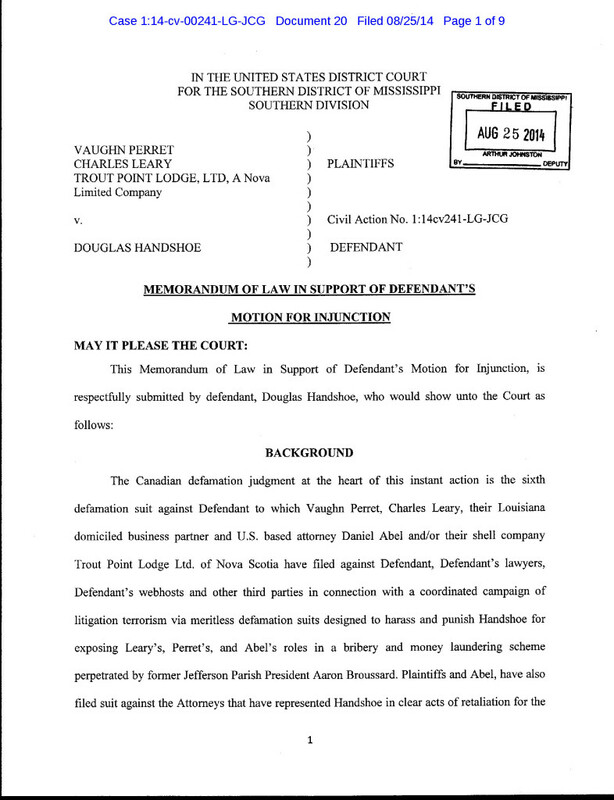 Click here for the entire post archives related to the Hubbard prosecution and how it tied to the Jefferson Parish scandal.